Map shows the location and population of reported shelters in Saint Lucia. 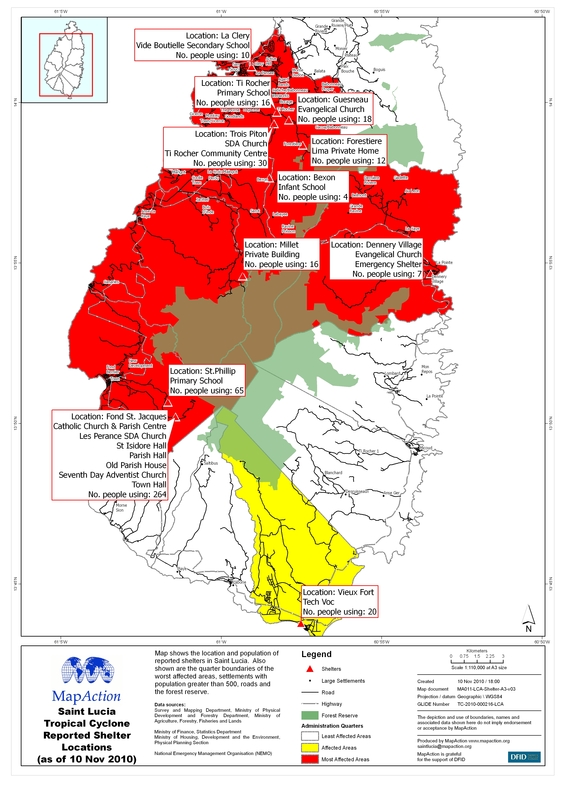 Also shown are the quarter boundaries of the worst affected areas, settlements with population greater than 500, roads and the forest reserve. Your details will not be passed on and you can unsubscribe at any time.